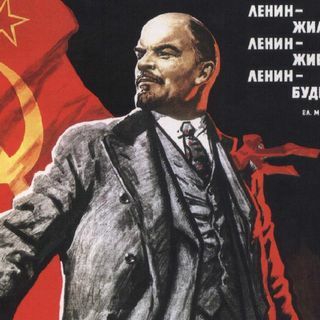 This Thursday evening on the HPANWO Show: a special programme to mark the centenary of the Bolshevik Revolution in Russia. This took place on November the 7th 1917 and directed the entire history of world during the 20th century and beyond. Unlike most historians, I suspect there is a direct connection between it and the death of Grigori Rasputin eleven months earlier, see: http://hpanwo-radio.blogspot.co.uk/2016/12/programme-218-podcast-rasputin.html. Also: All the latest news, details of ... See More upcoming events and space weather. Tune in at 8 pm, UK time, on Thursday the 9th of November. To talk to the host and other listeners, join the HPANWO Radio chatbox here: https://chatwing.com/chatbox/d4bdb8e0-c3e5-11e7-804e-955d1722d5ee. Bloody hell. We got out at the right time! talking about drugs.... just heard that the churchill porters have to get vacinated against flu,,, if they dont then they will not be paid if they are off sick.